When people think of football, they don't usually think of the ancient Egyptians. However, the pharaohs of old actually enjoyed the game--carvings on temples show that Egypt football games were held often. But while these older games weren't played in exactly the same way as today's modern football, by the late 1800s, Egypt was routinely playing against British teams. In 1882, the British occupied the area, and matches between the Egyptian teams and British teams were common. Student matches began in 1914 with games organized by the Al Ahly Sporting Club. These games were the first popular Egypt football games and helped spread interest in football to the rest of the country. By 1921, football had become so popular that Captain Hussein Hijazi's idea of an Egyptian Football Association (EFA) became reality. This association was created in response to the 1920 Olympics. Hijazi wanted Egypt football players to be able to compete for the gold, but the country had no structured organization for the sport. Within a year, the EFA had laid out guidelines for Egyptian football clubs and created the Cup of Egyptian Excellent tournament. Two years after its founding, the EFA was officially granted membership in the International Federation of Football (FIFA). This gave the EFA the ability to enter into FIFA international tournaments and the Olympics. Later, in 1957, the EFA officially became a member of the Confederation of African football organization. Since joining FIFA and the Confederation, Egypt football has become even more popular, and national teams have competed in a number of different competitions. Egypt has sent a team to the African Cup of Nations, winning six times and hosting the championship four times. Egypt has twice gone to the FIFA World Cup tournament, participated in the World Military Cup (winning five times), and twice sent a team to the World Youth Cup, winning the bronze medal in 2001. The country hosted this tournament in 2009. In 2009, the Egypt football team competed in the Confederations Cup, a tournament held in South Africa. This tournament is held every four years and is considered the second-largest football tournament in the world, outdone only by the FIFA World Cup. Egypt was placed in Group B along with Brazil, the U.S., and Italy. They defeated Italy but lost to the US and to Brazil in overtime. However, even though they lost, the Egyptian team was praised by FIFA for their performance against Brazil. Two players, Mohammad Homos and Mohammad Zeidan, were singled out for their performances in the games against Italy and Brazil, respectively. For fans that would like to relive the glory of the match against Brazil, we have a special opportunity. If you are a gambler, you can go collect a casino hermes bonus and double your money with the welcome bonus immediately. After that, check out the Religion of Champions Brasil online slot from Top Game. It's a 5 reel, 20 line non progressive slot machine that you can score big with. Casino Hermes also offers the full compliment of Top Game slots and table games. There's no doubt that the Egyptian football team (or soccer team, as the sport is known in the USA), will continue to perform well in future tournaments. Betting on tournaments is something that is also evolving over time. Most bets are actually made online and many sites have added or revolve a sportsbook dedicated to all sports enthusiasts. 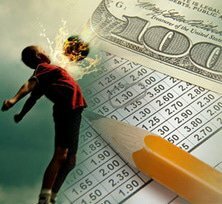 You can find the best information on all sporting events and live bets through huge sites like Bodog, Sports Interaction and Bet365.